Social Media Law: What does new Australian legislation mean for social media platforms? There’s been a lot of discussion in the Australian media about the new changes to technology laws. For the first time, we can now refer to social media law, as a part of the Australian criminal legal system. How did the notion of creating criminal legislation for social media arise? The conversation was spurred on by recent events, namely the horrific and premeditated massacre at a mosque in New Zealand. Directly after the tragedy, videos were posted on social media and 1 in particular was a 17 minute live and graphic account of the event that shocked millions. The Washington Post said “the killings touched a nerve around the world” and Australian lawmakers quickly sprung into action. It’s commonplace for the law to lag behind technology, which is not surprising due to the rapid pace at which technology surges forward. The legal system however, too often involves very lengthy processes to effect meaningful change. Despite usual practices, something unprecedented occurred recently. 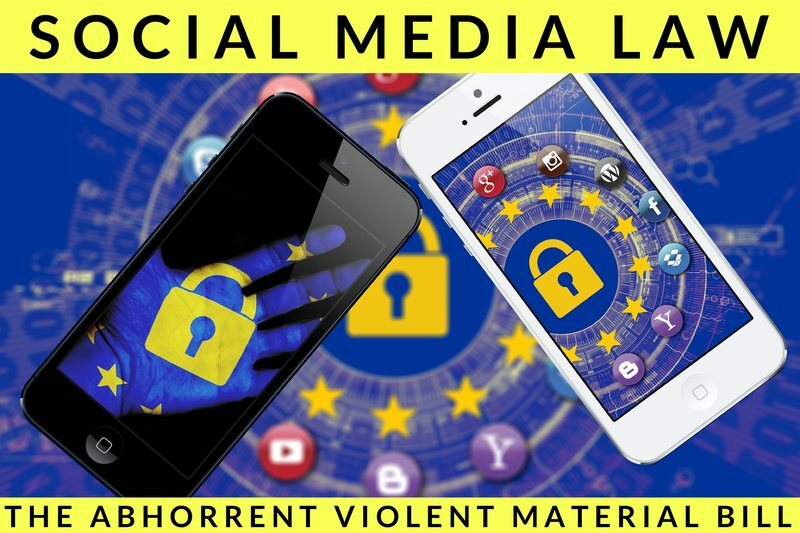 The Australian legal system acted swiftly, declaring that it’s a crime to post violent material on social media and so the notion of social media laws was borne. What is the Criminal Code Amendment Bill? The bill, aimed at preventing the “weaponising of social media platforms” by terrorists and criminals, is part of the political response to the Christchurch terror attack. Christian Porter, Australia’s attorney general said “internet platforms must take the spread of abhorrent violent material online seriously”. It’s this impassioned plea that resulted in Australian lawmakers introducing and passing a new bill in a mere 5 days. The New York Times published Porter saying, “this is most likely a world first” and yet not all people are in support of the new bill. Many experts including Richard Di Natale, a senator in the Australian Greens party describe the process as rushed, warranting far more discussion than what occurred prior to the rapid turnaround of the new law. The internet is rife with countless media outlets like the Huffington post, Time and CNBC commenting on the immediate introduction of the law. The ABC’s, “Laws targeting terror videos” raises many of the concerns. It’s not the fact that the bill “threatens those that host and stream content” but it’s because the public wasn’t even involved in the legal process. Porter stated that “laws formulated as a knee-jerk reaction to a tragic event do not necessarily equate to good legislation and can have myriad unintended consequences”. Politicians, lawmakers and the tech industry as a whole have been very vocal about their worries regarding the legislation. What does the abhorrent violent material bill actually mean? If you would like to read the new bill firsthand, the Sharing of abhorrent violent material bill defines what is meant by “abhorrent violent material”. The 24 page document outlines the circumstances under which one is in violation of this new social media posting law. What is classified as abhorrent violent conduct? Business Australia’s article regarding strict new social media laws takes the conservative right position and this raises a number of concerns. Is the new law right, attempting to control what is posted online? Naturally, the question of whether it’s right to post such sensitive and potentially scarring imagery, was at the forefront of the discussion. In fact, it’s still very much a trending topic. Is the discussion surrounding censorship actually the issue confronting us today? Is it right, fair, just and in the general public’s interest to prevent the publishing of inflammatory content? Who is monitoring social media platforms? What can we as a society do to curtail the media’s salacious attempts to gain viewers and readers? How can parents adequately protect their children? Emphasis on the term children, as today more than ever, keeping them innocent and childlike is becoming increasingly more difficult. People are calling for global digital solutions to these issues, yet currently no such laws exist. Each country is ‘free’ to do as they wish regarding what some would argue is merely censorship wrapped up in a pretty bow. The issue of censorship: protecting society or damaging free speech? Often the rights of the individual are in dire opposition to the rights of the public. This issue was recently explored in the blog about Australian Prison surveillance. The further we delve into the question of what’s right, the more confusing this becomes, as what might be right legally may not be right from a freedom of speech perspective. When neo Nazis fill our web pages with racist and often completely fabricated rhetoric, the majority of people protest and rightly so, demanding that the spread of hate be removed. Some proponents of free speech might argue that this type of action threatens the notion of an individual’s right to express themselves. Some years ago, after suicide bombers uploaded horrific videos showing training sessions, almost instructional manuals containing gruesome and frightening footage, we all began contemplating how this was permitted. Some might say, these actions were a deliberate attempt to launch their vile beliefs on social media as a type of call to action. Especially in this digital age, this type of example prompted people to question why laws don’t exist, preventing people from spewing violence across social media platforms. It’s definitely an interesting time in which we live. Never before have global atrocities gained so much notice and that is due in a large part to the free access obtained via social media. A national tragedy that might not have made it to traditional media sources now has a voice and that voice is loud. A woman being stoned to death in Iran is now publicised and a call to action is initiated via Twitter, Facebook and YouTube. That’s an extremely positive development. However, when the landscape goes unpoliced, the same positive platform can be used to gain an enormous following where the actions are not well intentioned. Such is the case with a 17 minute video watching in horror as people were savagely murdered while praying at a mosque. The massacre was actually streamed live on Facebook and many other social media platforms had difficulty removing the content. Will the new social media law prevent enough online violent crimes? The law decides what’s considered abhorrent violent material, including “videos that show terrorist attacks, murders or rapes”. But is this a wide enough scope for possible acts of violence? According to the bill, people can still make videos shouting racist and misogynistic slurs without being in violation of the newly passed law. How is this permissible? One might argue that the aforementioned terrorist training videos might be exempt from criminal prosecution. Technically they’re not showing the events of a terrorist attack, merely the planning of one?! 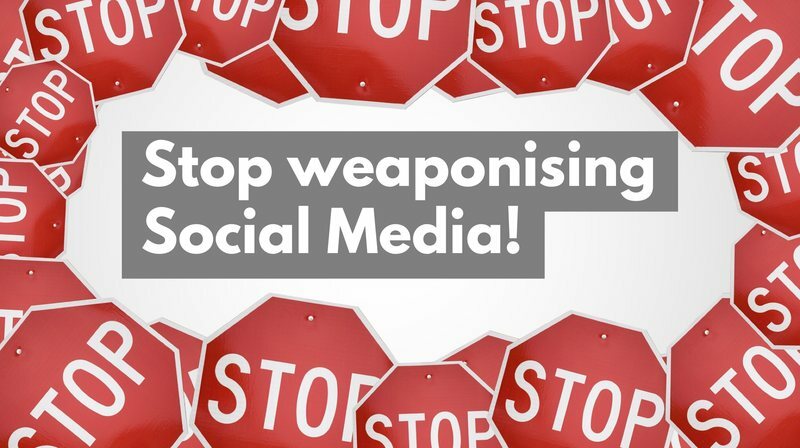 However, this definitely encompasses the definition of “weaponising social media”. While the Australian legal system has defined what constitutes abhorrent violent material, who actually decides this? How is this watchdog policed? Many questions remain unanswered. For example, can Australia take action against companies whose offices are based overseas? Will other countries follow suit and develop their own social media laws? Irrespective of whether you consider the new bill to have been passed prematurely, the fact remains that it’s brought many issues into the limelight. This is inherently positive, as it’s a discussion many would argue is long overdue. What do you think about the weaponising of social media platforms and the abhorrent violent material bill? 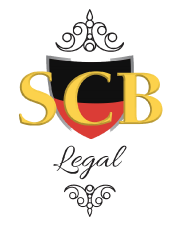 SCB Legal values your opinion and invites you share in the discussion. This is an extremely important issue and your voice deserves to be heard!